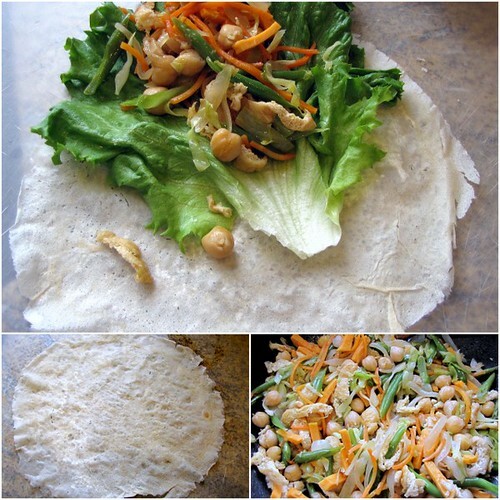 Fresh Spring Rolls ~ I Can Do That! 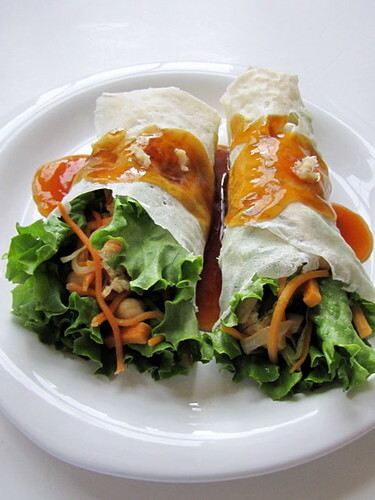 your fresh spring rolls look amazing! i was at a party recently and they had that! this is one of my favorite Filino dishes. my parents used to make this a long time ago for parties - they made their own wrappers on a flat table top griddle. Do they make them with just flour and water or the one with egg and cornflour like a crepe? I'd like to know how the flour/water is cooked so thin. hi oggi- i think they used flour and water but i will ask them just to make sure. love the new look of your blog too. oh my, the top photo had me at hello...haha I wanna eat that now!